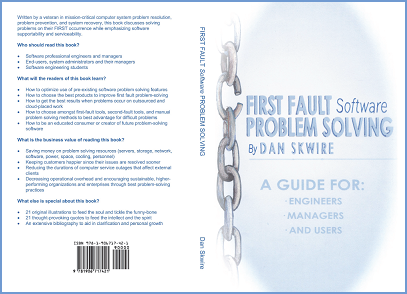 Written by a veteran in mission-critical computer system problem resolution, problem prevention, and system recovery, this book discusses solving problems on their FIRST occurrence while emphasizing software supportability and serviceability. What will the readers of this book learn? What is the business value of reading this book?